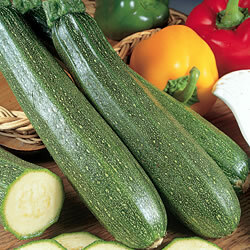 Expect a heavy crop of long dark emerald green courgettes from this reliable and early cropper. This delicious summer vegetable has a wide range of uses while any which become too big to be used as courgettes can be left to grow into marrows. For the most tender fruit pick when no more than 15cm/6in long.